Filtration is an important part of the water treatment process. In the filter tank in the water supply project, when the filter water is running, the porosity of the filter material is continuously reduced with the increase of the interception amount of the filter layer during the working cycle, the sludge permeability is deepened, and the resistance to the water flow is increased. As a result, the filtration rate is lowered, the water level of the filter is gradually increased, and the turbidity of the filtered water is increased. In order to restore the normal operation of the filter in a short time and ensure the quality of the effluent water and water, it is necessary to carry out backwashing and impact the filter layer on the filter plate. Practice has proved that the gas-water backwashing method is better than the water backwashing method. The gas-water backwashing can destroy the structure of the mud ball in the filter material. When the air is flushed, the filter material generates a large vibration, and the filter material repeatedly collides with the friction. The filter layer is stirred vigorously, the mud ball cannot be formed, and the formed mud ball structure is also destroyed by vibration, and the adhering substances on all the filter materials are detached and taken away by the backwash water. 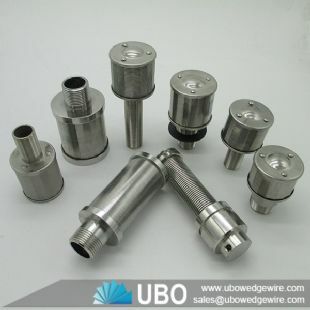 The filter nozzle is divided into two types: A type and B type: type A is a long handle filter head, which is applied to the filter backwash water distribution system; type B is a short handle filter nozzle, which is applied to the filter single water backwashing and gravity type, Water filtration system such as pressure canister and ion exchange filter bed. 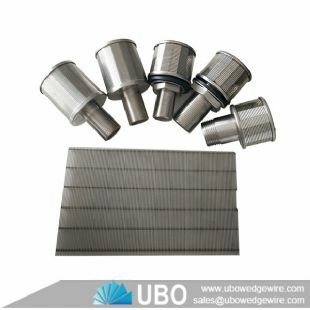 The filter head is made of stainless steel and has high strength and is not easily broken. In the filter head structure, the threaded rubber gasket is added to strengthen the joint and never fall off. 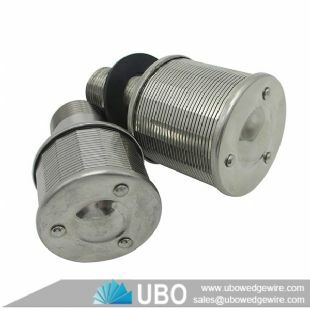 The base of the filter cap is designed to increase the bottom seam so that there is no dead water area between the filter plate and no mud.